Your first sale or first investor check is exciting and wonderful! Congratulations! By the way, you have now officially accrued a tax liability and are responsible for telling the government that you owe them money. You may also want to file and claim tax benefits if you have spent more than a few hundred dollars on business expenses. 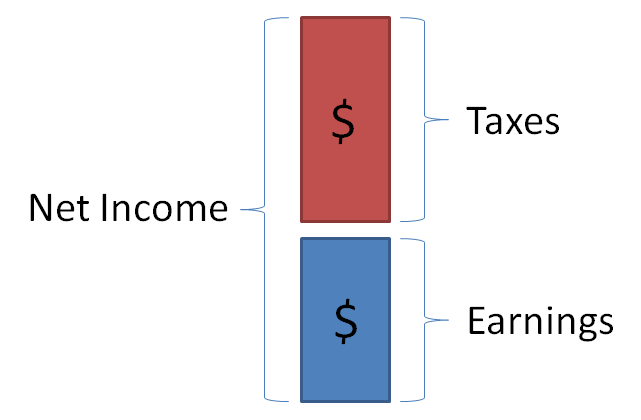 Business Taxes in the USA are much more complex than personal taxes. There can be Federal Taxes, State Taxes, County Taxes and City Taxes for business depending on your location and type of business. It is best to find an Accountant who specializes in your specific type of business to help you ensure you are set up appropriately. This guide is focused on highlighting some common types of business tax that you may encounter and is in no way comprehensive of all taxes which you may be responsible. Due to the complexity of taxes based on industry, location and so forth it is very difficult to understand what a normal tax rate would be. To calculate your effective tax rate. Add up all of the taxes you pay in a year and divide by your pre-tax net income. Income taxes are paid after expenses in the US. So make sure you record and track business related expenses. Depending on your legal formation entity type, you will either have a “pass through” entity or a “corporate entity”. This will determine if you pay corporate rates or if you file on your personal income tax returns. If you expect to pay more than $1000 on pass-through taxes or $500 on corporate taxes the IRS requires you to pay estimated taxes quarterly instead of annually. If you only pay at the end of the year and are above this threshold you can face fines and late fees. For corporate returns, The US Federal Tax Rate is commonly stated as being 35% of Net Income. However, the reality is that this only applies above $10M. Below $10M annual income the rate is based on marginal brackets between 15% and 38% just like US Income taxes. PWC has summarized this nicely for us. State Income taxes are between 0% and 12% in 2017. Tax Foundation has summarized state tax rates nicely for us. Some Cities and Counties may have additional business taxes which you will need to understand based on your place of business. If you are taking an income from a passthrough business entity, you will have to pay what is commonly known as “self employment taxes”. These are related to Social Security and Medicaid. Usually when you receive a paycheck, your employer pays half of these taxes and you pay half of these taxes. Since you are not taking a paycheck, the full amount of these taxes is now your responsibility. The total effective rate is 15.3%. 12.4% for Social Security and 2.9% for Medicare. Sales taxes can be based on your State, County or City. It is your responsibility as a business to ensure that you are collecting state and local sales taxes. In the last few years, online sales have become part of this and there is an ongoing battle for how this is to be handled. So if you ship products to a city in any state which you have a business “nexus”, then you likely owe sales taxes on those items. Sales taxes are due whether you collected them from the consumer or not, so make sure you collect when appropriate. You will need to register your business with the state Department of Revenue. Some online sales organizations such as Shopify do a lot of the sales tax collection for you. But you still need to register and pay with the states which you will owe taxes. If you have an employee, or if you pay yourself as an employee you will need to pay and withhold Federal Insurance Contributions Act (FICA) taxes. You as the business are responsible for half of FICA taxes while the employee is responsible for half of the FICA taxes. 6.2% social security tax and 1.45% Medicare tax are withheld from the employee paycheck and submitted by the employer, along with the same amounts for which the business is responsible. As of 2013 there is a 0.9% Medicare surtax when the employee makes over $200k per year. Employers also pay Federal and State Unemployment Taxes for their employees. This is a tax that pays for the employees unemployment benefit in the case that you need to fire them. Your business rate can vary depending on your state laws and how many employees you have fired. There are many cases where specific strategies as an employer can help protect you from employees who abuse this system, but we won’t go into those methods now. The IRS has published a FUTA help page here for Federal Unemployment Taxes. There is a great summary of what range of tax rates you may see by State here. The min and max are dependant on how often you need to fire employees. As a result of the Affordable Care Act businesses of a certain size are responsible for providing their employees healthcare insurance options. In the case of small business of 50 employees or less, you may not be responsible for providing coverage and there is actually a credit which you may be eligible for if you elect to offer healthcare. As this is a new area and is evolving, it is best to review your options on the ACA website for small business owners. there are many industries which have specific taxes such as gas tax, waste taxes, luxury tax or alcohol tax. Make sure you understand what specific taxes apply to your type of business. Each Municipality can and usually does have specific taxes to help pay for roads and local programs. Some examples are: Transportation Impact Fee’s, Property Tax, Ecotax, Business and Occupation Tax, Excise Tax and Use Tax.